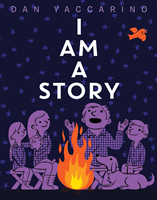 Dan Yaccarino speaks about his books, television series and career at schools, literary conferences, libraries and book festivals across the country. Dan visits schools and libraries, speaking to kindergartners on up. Through images and animation, Dan’s inspiring presentations highlight his career in books, television and character design. For school visits, Dan makes up to 3 forty-five minute presentations per day for $2,000, plus travel and accommodation expenses. For more details on appearances and to check availability, please contact Dan directly at yaccarinostudio@gmail.com or 212-675-5335. Please note, Dan signs copies of his books only. Author and Illustrator Dan Yaccarino! Through childhood drawings and photos, illustration and animation, this inspiring presentation connects the dots from Dan’s childhood to a 25-year career in children’s publishing, television and character design, showing kids that if they work hard enough, they can achieve anything! For grades 1 to 5. Digital technology is part of everyone's lives, especially kids. Dan presents the benefits and different ways kids can UNPLUG from digital technology through his most popular picture book, DOUG UNPLUGGED. Dan delves into the preliminary materials used in the creation of the book as well as its timely message of unplugging. 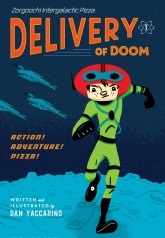 Aliens, Robots, and Pizza: The Story Behind Zogoochi Intergalactic Pizza: Delivery of Doom! 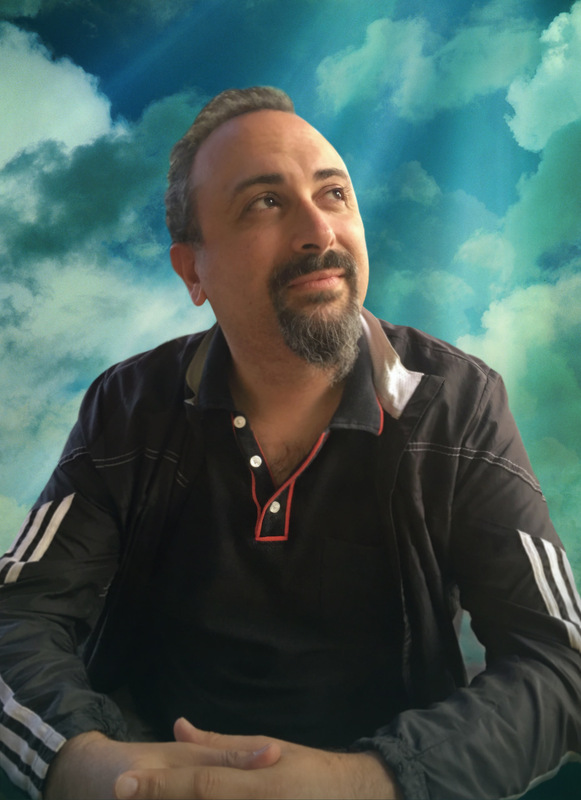 Through words and pictures, Dan explains how he fulfilled his dream of writing and illustrating a humorous science fiction novel. He goes into great depth to reveal character and story development, as well as the inspiration behind the book. From sketchbook and scribbled notes to published book, Dan takes the students along an intergalactic writer's journey. Dan will visit with small groups of students over a 45-minute period answering any questions they may have about his work. A live half hour video chat with Dan is the next best thing to an in-person visit! Dan will make up to 3 virtual visits a day: $350 for one, $500 for two and $750 for three. A Virtual Visit With Dan Yaccarino! Dan visits with students right in his studio where he shows sketches, reads one of his books and answers prepared questions from students. Dan speaks to adults about his career and work at a variety of professional conferences and book festivals. He has read his books at the White House and has been a keynote speaker, presenter as well as a panelist at national book and children’s literacy conferences around the country. By meeting challenges and opportunities with the simple 3-letter word, YES, Dan has enjoyed a successful 25-year career as a children’s book author/illustrator, television creator/producer, commercial illustrator and public speaker. In this funny, yet inspiring presentation, Dan shows through slides and animation how he was able to reach the next level of his career by saying YES! A picture book isn’t just drawings depicting text, but images and words uniquely intertwined to create a story. This presentation teaches the fundamentals of picture books, from format, character development to basic storytelling. In this presentation, Dan reveals the inspiration and backstory behind his most popular character and picture book, Doug Unplugged. He delves into the preliminary materials used in the creation of the book as well as its timely message of unplugging. How do you create a memorable children’s book character? Go behind the scenes with picture book author and illustrator (Unlovable, Doug Unplugged, etc.) and TV producer Dan Yaccarino (The Backyardigans, Oswald, Willa’s Wild Life) to see how he creates his unforgettable picture book and TV characters. He also shares tips on how to strengthen an existing character or how to create a character from scratch. To download Dan's photo, right-click on the link below and choose "save target as" or "save link as." Click here - JPG, 300 KB. Books can be purchased through your local bookstore or by using the publisher’s information below. DAN YACCARINO’S MOTHER GOOSE- illustrated by Dan Yaccarino.